Super Smash Bros. Ultimate has proven to a huge success for Nintendo Since it arrived on Switch last month. Game is launching end of the year, the title was Amazon's Best selling video game of 2018 as well as the 5th best selling game in the US. Nintendo revealed that Super Smash Bros. 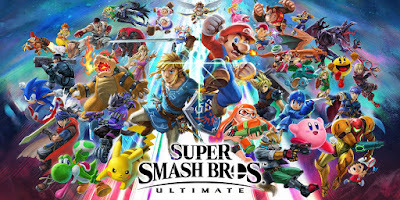 Ultimate sold more than 12 Million copies worldwide and it's company best selling Switch game to date. According to Nintendo's updated list of best selling Switch software, Super Smash Bros. Ultimate moved a combined 12.08 million physical and digital copies as of 31th December 2018.